Our Board Certified Attorneys are all Board Certified by the Texas Board of Legal Specialization in their respective fields. Board Certification is a mark of excellence and it indicates an attorney has distinguished himself among his peers. Only about 10% of all attorneys in the State of Texas have been Board Certified. 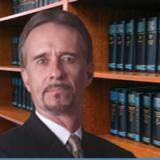 This board certification enables the attorney to hold himself as an expert in his area of specialty. When you need a legal expert, look for Board Certification to ensure you have the best. Mark of Excellence! Board Certification is a mark of excellence and a distinguishing accomplishment and means a lawyer has substantial and relevant experience in their select field of law. Our Board Certified Attorneys have also demonstrated special competence in their legal specializations and have been tested through continuing legal education course work.